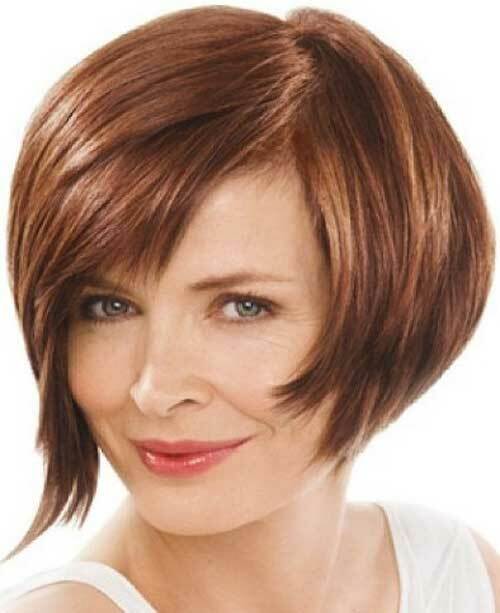 Bobs are considered to be an eternal haircut existing from 1909. It has a very interesting origin. A French hairdresser was inspired by Joan of Arc’s image and created the style which reached its popularity among women in the 1920s. Certainly it had its ups and downs and it got its highest peak of popularity at the end of the twentieth and the beginning of the twenty first centuries. And the symbol of it is Victoria Beckham. Yes, really. Are you surprised? She was the one to make the bob style an elegant and gorgeous cut. It is because of the Queen of Style (as she is often called) we consider women with bobs elegant, stylish and trendy. But, of course, bob has its variations like inverted bob, layered bob or stacked bob. This article is about layered bobs. 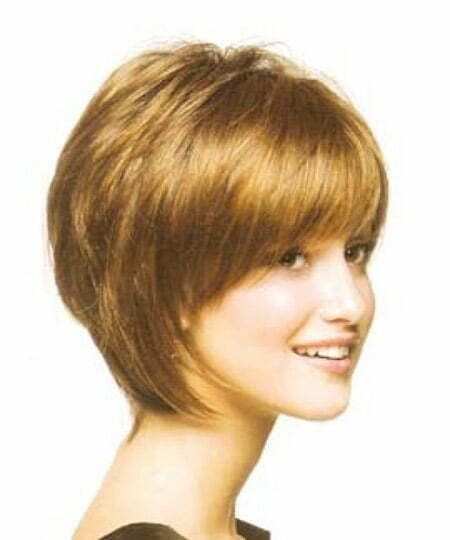 A layered bob is really a bob with layers (grades) and it is clear from the name itself. Layers allow a stylist to create a visual effect of volume and lots of hair on your head. It is a good option for those having thin or fair hair as it helps to solve the problem. If your hair is thick and coarse, layers help to thin your hair out in order to avoid a popped appearance. Is a Layered Bob Haircut Suitable for Me? It has lots of variations so it suits almost everybody. It looks OK on a girl of twelve as well as on a woman of 70 years old. A young girl will have a more mature look without losing her childish appearance when an elderly person will look elegant, decent and confident. Is It OK for Black Women? It doesn’t matter what skin color you’ve got. Bobs can be adjusted to any hair type. You can have it curly, wavy or straight. Your hair can thin or thick. Bobs will look cool. It is usually the question asked at the stylist’s. Any option can be chosen. But short layered bob hairstyles look the most amazing. Any woman becomes perfect and astonishing with a short bob. It seductively opens your neck to men’s eyes and your face is framed very beautifully. But remember not to cut your hair upper your jawline as it will spoil the effect. Your face will look square and not feminine. You can do with a parting or without it. A middle parting looks OK for business like meeting and professions like teachers, politicians, etc. A side parting looks gentler and softer. Your locks fall slowly down making an unforgettable look. If you choose not to have a parting, brush your hair backwards and fix it that way with a hair spray. Bangs are good for those who have wrinkles on the forehead as they allow hiding them. Having a very high forehead is also a reason to go with a bang. It won’t add you prettiness if you wear your bob without a bang with a very high forehead. Bangs also can be different. You may cut it straight making a correct geometrical look. Or have it falling softly to the sides giving your image a romantic appearance. If you want to feel air through your hair, brush your bang back and feel the life as it is. If you got used to spending much time in the morning to style your hair, you will not be depressed with having a layered bob as layers need styling. Otherwise, they will not be seen and it will spoil the effect. Wash your hair regularly and dry it. Put a handful of foam onto your hair and style it properly to highlight the grades. Fix the result with a hair spray for a long fresh look. Visit your hairdresser once a month to keep it in shape and enjoy your gorgeous short layered bob hairstyle and admiring male glances!